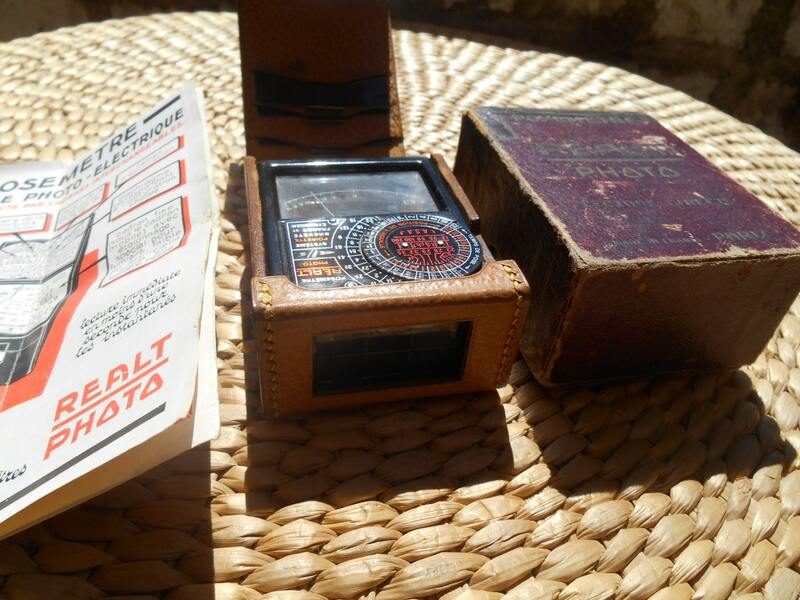 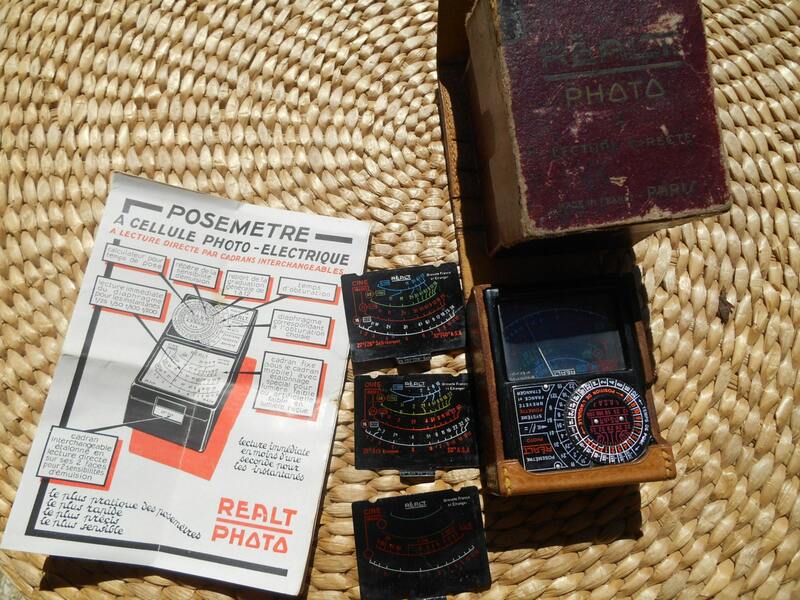 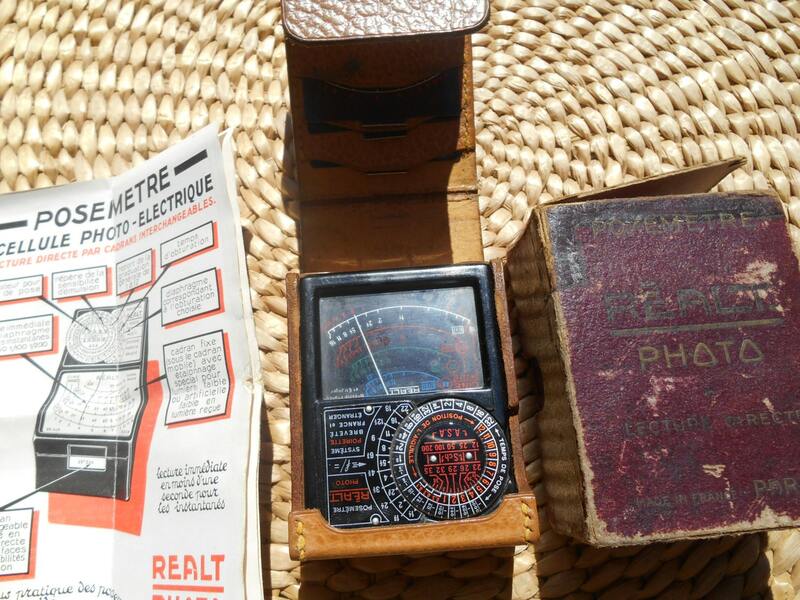 Unusual 1949's REALT PARIS Light meter in his Burgundy box and beige leather case. 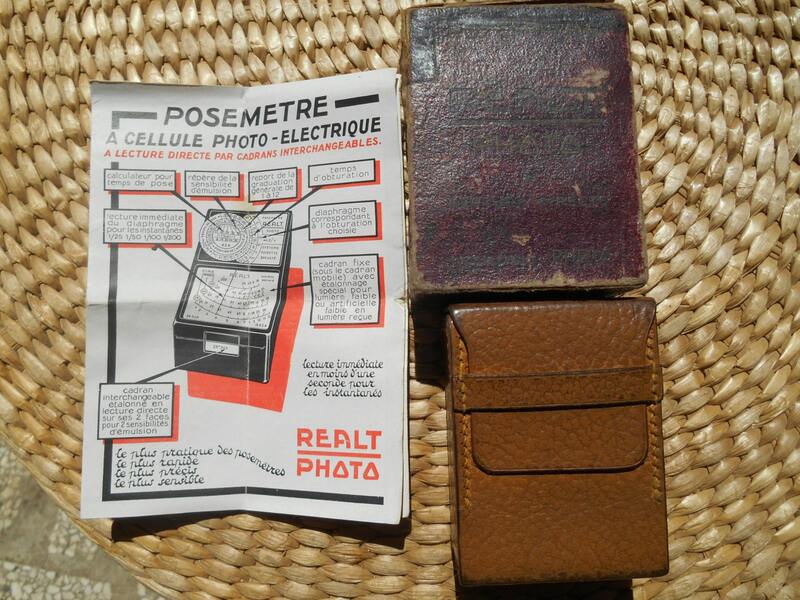 Instruction provided and 3 screens . 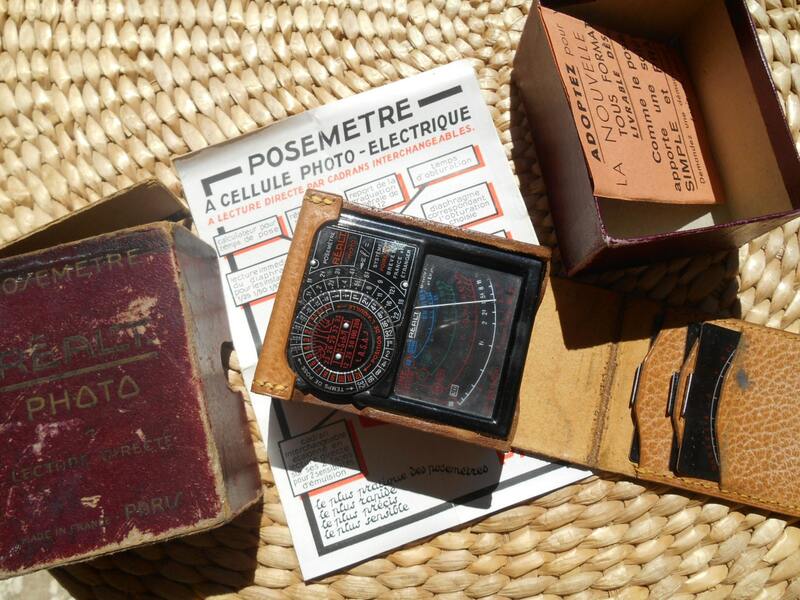 Beautiful collectible and home decor !